Weekend of October 7/8 - Many more animals arrived this weekend - 139 pets on two flights which were cared for and looked after by staff, volunteers and veterinarians at our Madison facility. On Monday, a transport left our facility to destinations ready to find adoptable families for these homeless pets from Puerto Rico. October 6 - Tonight, NJ State Senator Raymond J. Lesniak is joining the staff and volunteers of St. Hubert's and HSUS to greet 122 animals coming in from Puerto Rico on this sixth flight from the island to our campus. Yesterday morning, 181 animals were flown in. Since last Saturday, we have now welcomed 644 animals! Earlier this afternoon, many dogs and cats were transported from our campus to shelter partners around the region with assistance from RedRover. Senator Lesniak lent a hand during a recent airlift of animals at Morristown Muni Airport. The volunteer team from RedRover Responders helped with getting the pups ready for transport from St. Hubert's to other shelters. 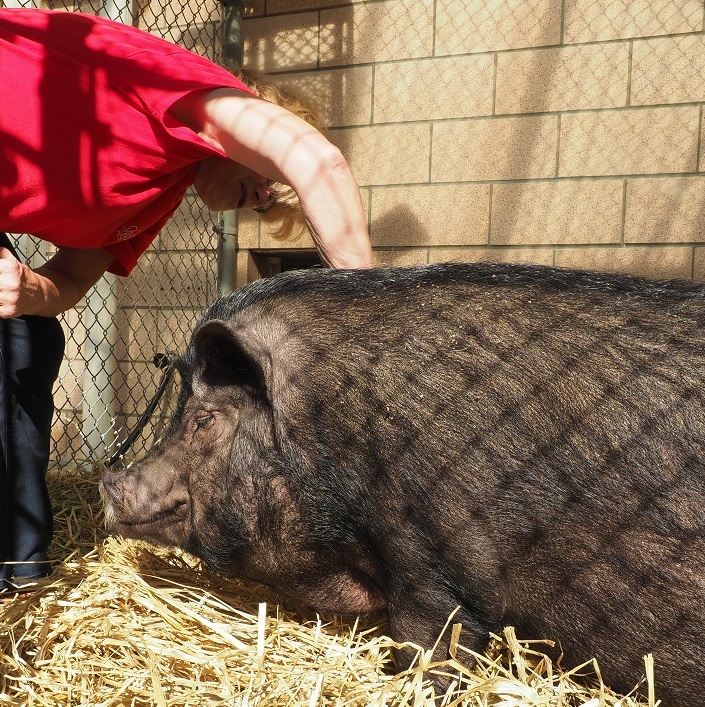 October 5 - The three pigs we welcomed from the October 1 airlift from Puerto Rico have gone to their adoptive home, together! This mom and two babies were beloved residents of the Humane Society of Puerto Rico and thanks to the work of the Humane Society of the United States (HSUS), they were readied for transport and flew to St. Hubert's to find a new home. October 3 - Another 100 animals arrived today with a Wednesday flight also scheduled from Puerto Rico. 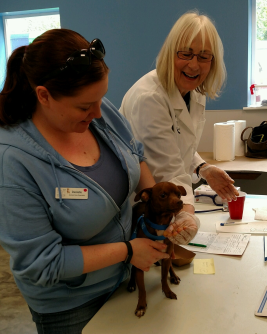 Volunteer vets are working nearly nonstop to ensure all of the dogs and cats are ready for new homes with health certificates in hand (paw, actually)! 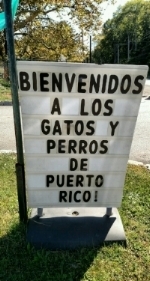 October 1 - Yesterday, an airlift from the island of Puerto Rico arrived at Morristown Municipal Airport around 9:30 pm with 70 dogs, 4 cats and 3 pot-bellied pigs! (#whenpigsfly) For the return flights, all of the planes have been packed with supplies for the humans and animals of Puerto Rico that were generously donated from so many of you in the last few days. Currently, the needs have changed from diapers and feminine products to anti-diarrhea meds, peptic stomach remedies, over-the-counter pain relief like Advil, antiseptic ointments, Band-Aids, disinfectant wipes and tablets like "Potable Aqua" to purify water for drinking. If you can contribute any of these items, please bring them to our main lobby entrance. Many thanks to Ethical Products Inc. for donating 400 stainless steel bowls for our pet visitors - especially since we will continue to welcome additional animals this week! Welcome signage at St. Hubert's entrance. September 30 - Early this morning around 2:00 AM, the first flight from Puerto Rico arrived with 91 animals at the FTB/FTO hangar at Morristown Municipal Airport in a jet flown by volunteer pilots from the nonprofit Wings of Rescue. Teams from St. Hubert's and the Humane Society of the United States (HSUS) quickly unloaded the dogs and cats and transported them to our Madison campus to decompress and receive food and water. Human supplies donated from generous members in our community were loaded onto the plane for the return trip to the island. 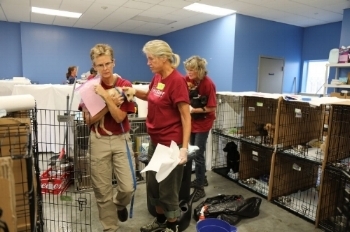 Many volunteers continue to assist with welcoming the animals. 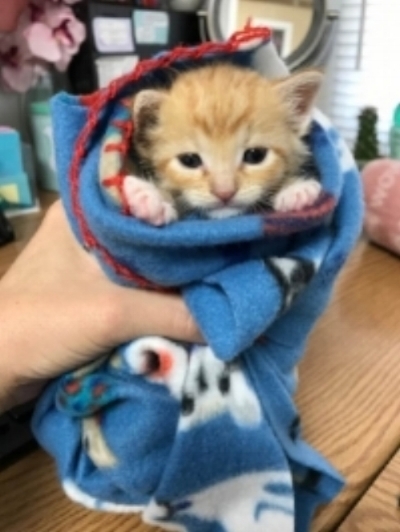 Today, veterinarians from the New Jersey Veterinary Medical Association are providing health checkups as we help HSUS coordinate efforts for eventual transfers of the animals to other shelters for adoption. Tonight, at 8:30 pm, another flight is arriving with dogs and cats from the hurricane-devastated island. Our teams are standing by! 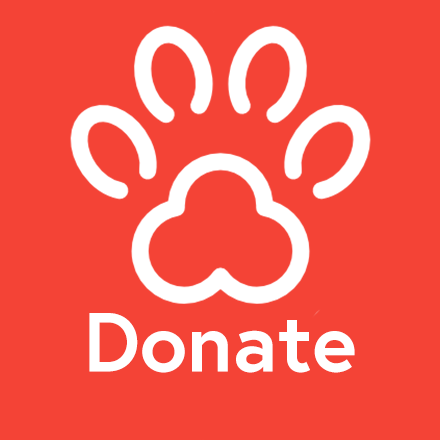 A big thank you to GreaterGood.org for their assistance and help in securing pet medicine from Abaxis!